The Donna Louise Children's Hospice was registered as a charity in 1999. We were set up to respond to the need for a children's hospice service for Staffordshire and Cheshire. As the fundraising for a purpose built hospice continued, a community nursing team was established in 2002 to provide care for children and their families in their own homes. By August 2003, the Hospice building was finished and fully-equipped and we opened our doors to families on August 4th 2003. To be the centre of excellence for children and young people's palliative care. Respect – we foster a culture of respect and maintain the environment of team work, growth and diversity. Excellence – we strive to be efficient, effective and innovative, giving our best with passion and consistency and continually searching for ways to do things better. Integrity – we are ethical, professional, honest and accountable in our approach to everything we do. Openness – we encourage an open and transparent culture which fosters trust, collaboration, continual learning an community spirit. Fairness – we endeavour to provide a balanced approach at all times which is equitable and non-disciminatory. Enablement – we support and empower our children, families, staff and volunteers to have a say in the way our services are delivered and to influence the future direction of the organisation. To be fit for the future - By focussing on a range of deliverables, including innovative and standard practices, we will continue to ensure that children, young people, and their families continue to receive the most efficient and effective palliative care and respite service. This includes ways to secure on-going, planned, and sustainable income, and developing the organisation's infrastructure to meet and support demands and on-going regulatory compliance. Aiming for excellence - We want to be the best we can, offering a 'centre of excellence' for children and young people's palliative care. We have developed a programme of continuous improvements to ensure the organisation maintains excellent service delivery and outcomes as well as fostering innovation and creativity. Making connections - We recognise and value the role of children, young people, and their families in the delivery of services, as well as those of professionals, staff and volunteers who work with us to provide an excellent palliative care service at the hospice and at home. We have strong relationships with many corporate partners and could not continue without the generous donations from them and members of the public. We work closely with other children's hospices across the UK to share expertise and knowledge. Representatives across the Charity are involved in a number of committees, forums, and steering groups for Together for Short Lives (formerly ACT and Children's Hospices UK), helping to contribute to the hospice movement in the UK. We want to continue to build and strengthen our partnerships with all our key stakeholders, involving and enabling them to influence and contribute to our service planning and delivery. Our professional and dedicated Care Team members provide a whole range of services and support to our children and their families, both in the House and at families' homes. Click here to find out more information on how we care. "As a parent, one feels vulnerable when your child is ill. Unless you have direct knowledge, one cannot understand the suffering families go through with terminally ill children." "It’s a privilege for me to be a patron of The Donna Louise Children’s Hospice. It makes a real difference to these children, whose lives have been tragically limited and I will continue to lend my support." 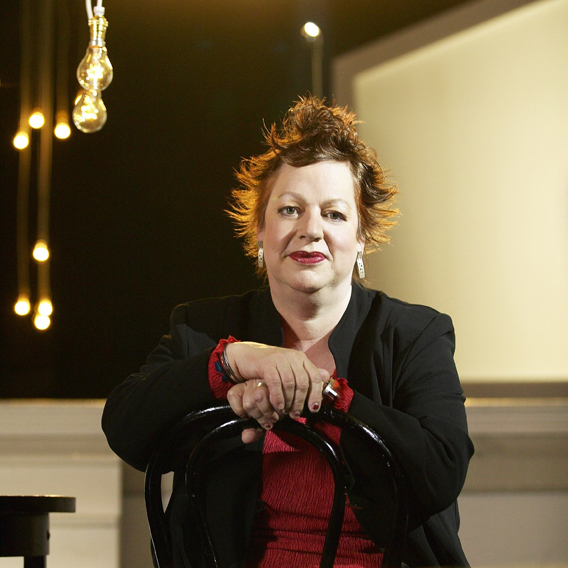 BAFTA-winning comedian Jo Brand brings a smile to people's faces - and this includes children at The Donna Louise Children's Hospice. Born in Kent, Jo's first job was at a Dr Barnado's home - following in the footsteps of her mother who was a social worker. Having been a nurse, Jo has real empathy for both staff and children at the Hospice and urges others to help in raising funds. She said: "I can't imagine what it must be like to be in a position of one of the families that uses the Hospice. "A hospice is an expensive place to run. When I visited I spent time talking to staff and families and what is clear is how important this service is to them. "We really need to look after children and their families and give them support and I am delighted to help in any way I can." 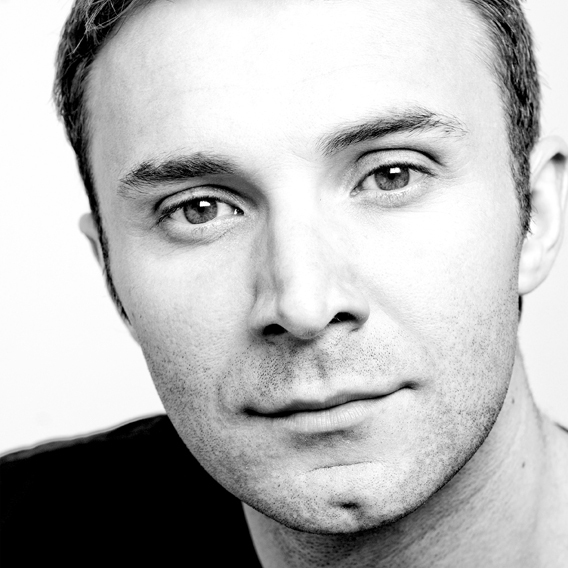 Potteries stage star, Jonathan Wilkes, brings a touch of magic to the Hospice whether he is in panto costume, making a personal visit or supporting one of our events. The Baddley- Green born star is a committed supporter of The Donna Louise and is a big hit with all the children and families. Jonathan's TV career has included presenting ITV's You've Been Framed, Love on a Saturday Night and Celebrity Stars in their Eyes. Potteries-born TV presenter Nick Hancock is a well-known Stoke City supporter and an avid supporter of The Donna Louise Children's Hospice. He uses his Stoke City supporter status to encourage fans to make donations and encourages others to follow in his footsteps. Nick has enjoyed a varied TV career, which has included appearing in an episode of Mr Bean and The Outsiders as well as a host of other shows. He said: "I've been involved with The Donna Louise Children's Hospice for some time now and visit whenever I get the chance. "What always strikes me is what a happy place it is and how at home the children and families are here. "Such an important part of the work they do at the Hospice is to help make the children's lives as happy and comfortable as possible. "People need to be kept aware of what goes on here and the important work that is being done." 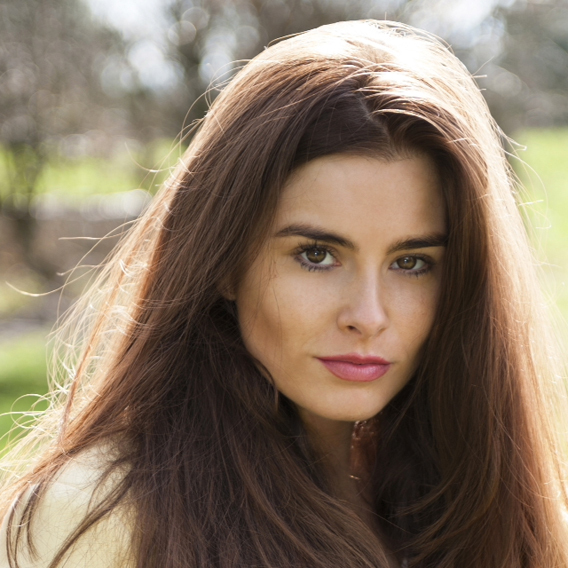 Glamorous Staffordshire-born soap star, Rachel Shenton, plays an active part supporting the Hospice. As well as officially opening the Charity's Superstore "Your Shop" she supports the annual 10K and 5K Charity Fun Run. Rachel said: "I grew up in Staffordshire and my family live here so I'm delighted to get involved and do all I can to help. It's a real honour and privilege to be involved and doing something to help. The work the Hospice does is invaluable. "The staff have such an amazing impact on the lives of the children and their families. The work the Hospice does is incredible and it gets such a small percentage of Government funding." 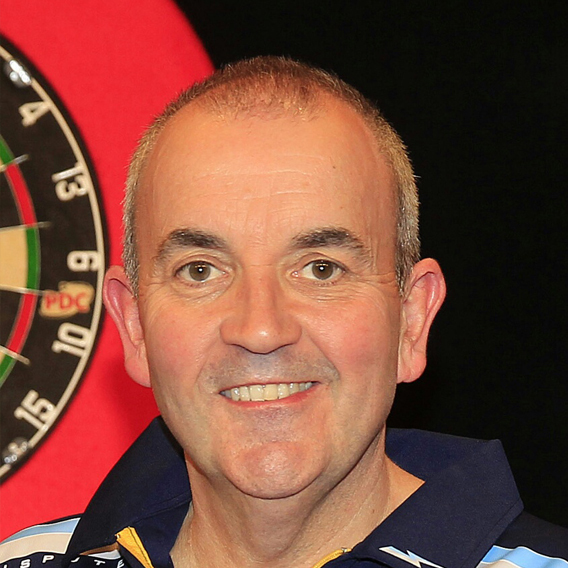 World darts champion Phil Taylor scored a real bulls eye when he became a Champion for the hospice. Phil was introduced to the Charity by his friend Pete Williams, dad of the charity patron Robbie Williams. 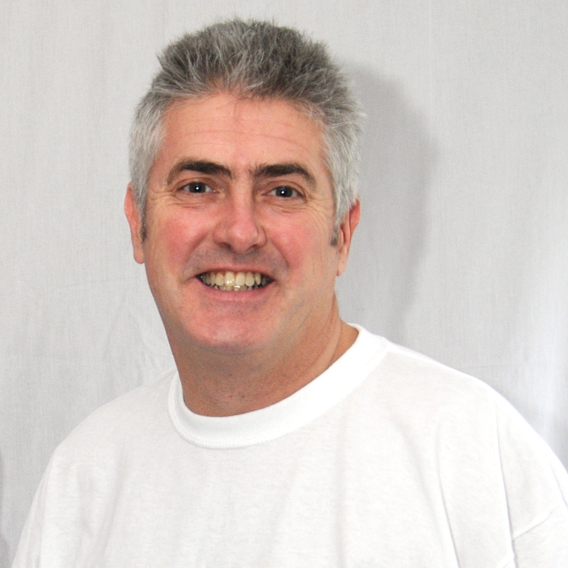 Phil nurtured his love of playing darts in the pubs in Stoke-on-Trent while working in the ceramics industry after leaving school. He caught the eye of Eric Bristow and in 1990 met his mentor Eric Bristow in the World Championships, beating him six sets to one, claiming a world title. 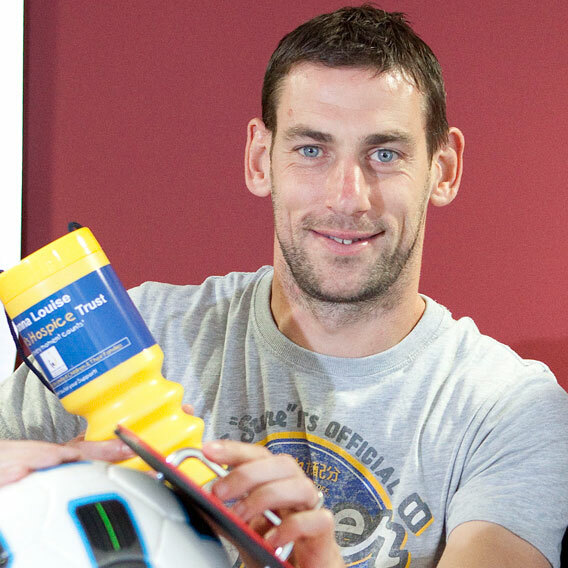 Premier League footballer, Rory Delap, is on the ball with his current signing - as a Champion with the hospice. A midfielder, the English-born Irish footballer is renowned for his long throw-ins which probably go back to his days as a talented javelin thrower in his youth. The father-of-three is a regular visitor to the Hospice where he not only takes time out to see the children, but also takes part in fundraising. Rory took part in a 172-mile bike challenge to raise £2,000 and a 200-mile ride from Newcastle-upon-Tyne to Edinburgh over three days. He said: "I first visited the Hospice at Christmas 2006 with the rest of the Stoke City team and my first impression was how happy the kids were. The atmosphere, surroundings and staff are top class, considering the unfortunate situations the kids and their families are having to deal with. "Having three young children myself, it really hits home what these families go through. We should all do what we can to support The Donna Louise Children's Hospice." 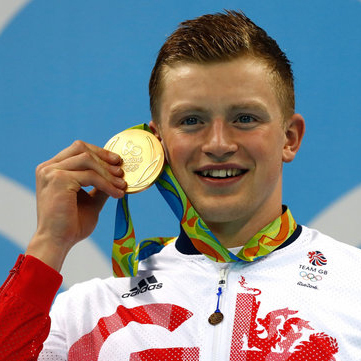 Uttoxeter-born British swimmer, Adam Peaty MBE is looking forward to lending his support to The Donna Louise in whatever way he can. Adam made history at the Rio 2016 Olympic Games when he became the first British man to win an Olympic swimming Gold medal for 28 years, since Adrian Moorhouse in Seoul 1988. As a very young child, Adam was terrified of water. He hated the pool and used to climb up his mum's arms whenever they went swimming. Fear eventually turned into a passion for swimming, and at 15, Adam decided he wanted to devote himself to the sport. Adam continued to dominate in the pool, becoming the first man to go under 58 seconds in the 100m Breaststroke, setting a new World Record of 57.92 secs. He went on to win medal after medal and set new World Records. At the Olympic Games in Rio, Adam made history when he became Olympic champion in the 100m Breaststroke, winning GB's first medal of Rio 2016 and smashing his own world record in the process with a time of 57.13 seconds, before going on to win Silver in the 4x100m Medley Relay – with the fastest Breaststroke split in history of 56.59s – making this the best ever Olympics for British Swimming since 1908. Having visited the hospice, Adam said: "Visiting The Donna Louise has really opened my eyes to the wonderful care and support they give to children and their families. It's amazing news that they will be opening a unit for young adults and I look forward to helping them any way I can." 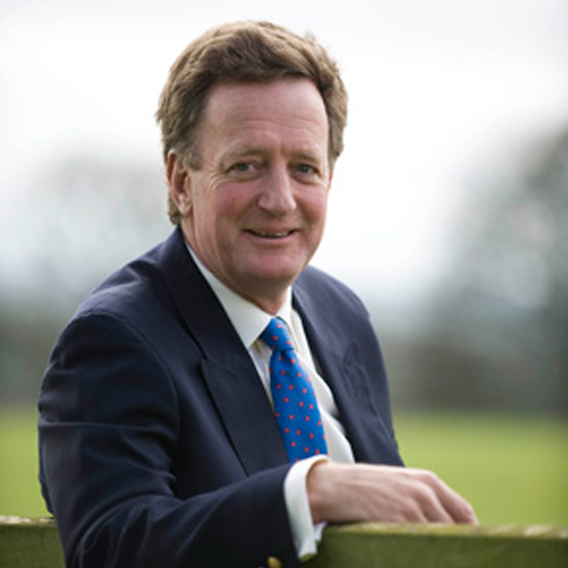 Cheddleton's Sir Lee Pearson CBE is a well-known figure in the world of Paralympic equestrian sport, and is a passionate advocate and campaigner for people with disabilities. 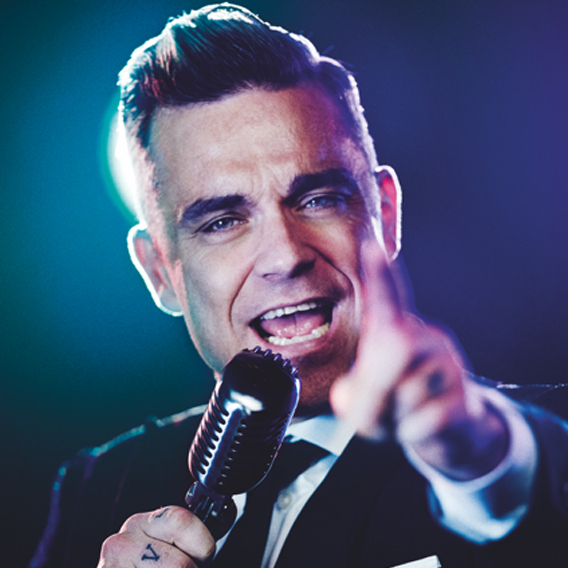 He is also an ambassador for several high-profile charities across the Midlands. Sir Lee Pearson was born with arthrogryposis multiplex congenital, which left his limbs bent and warped. He first came to public attention at the age of six, (by which time he had already undergone 15 operations), when Margaret Thatcher carried him up the staircase of 10 Downing Street to receive his 1980 Children of Courage Award, melting the Iron Lady's heart with his cheeky grin and delighted chuckles. 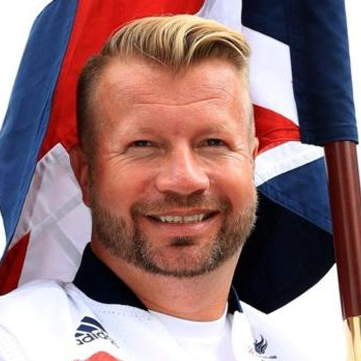 Growing up with a disability, Sir Lee has faced and overcome many challenges in his life and has grown into one of the nation's most successful sportsmen - having won a staggering total of 35 medals, 11 of which are Paralympic golds. Sir Lee was inspired to support The Donna Louise charity following a recent visit to the hospice where he learned more about the expansion plans for a young adult service. During this visit, he spent time chatting to staff and children at the hospice. Sir Lee also met three young people who will stand to benefit from this new service. He said: "I was incredibly moved and inspired to see the great work being done at The Donna Louise and to meet the staff, children and young people who benefit from the work of this incredible charity. I am particularly proud to support local charities like The Donna Louise that help local people."